The Mill Mountain Zoo Internship Program offers individuals a unique opportunity to become actively involved in the mission of Mill Mountain Zoo. Internships are available for motivated persons that have completed at least one year of college course work or college graduates seeking on the job experience. Internships provide practical experience in a zoological environment while gaining valuable knowledge related to his /her career goals. This exciting and challenging atmosphere offers the opportunity to supplement and apply classroom knowledge. General understanding of the Mill Mountain’s Zoo dedication to fostering awareness and appreciation for wildlife. 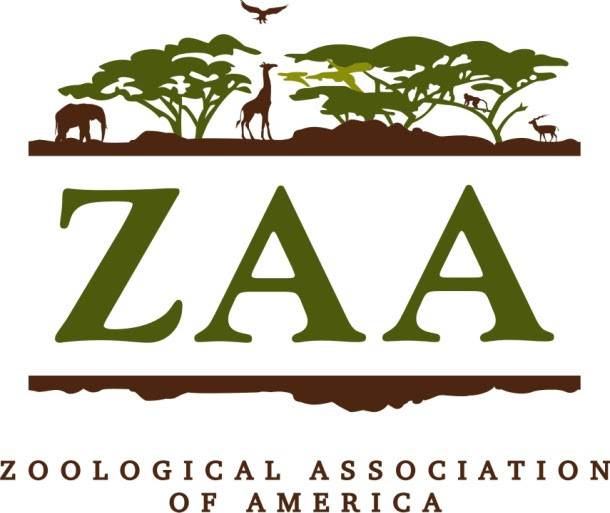 General understanding of the Mill Mountain Zoo’s commitment to advancing public education on the need for wildlife conservation and preservation. 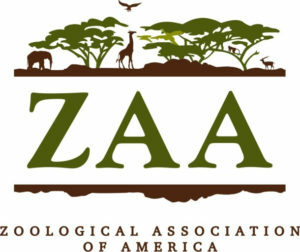 General understanding of the importance of zoos regarding endangered species survival and habitat preservation. General knowledge of animal husbandry, enrichment, and dietary requirements of animals housed at the Mill Mountain Zoo. General knowledge of animal behavior and disease prevention for animals at the zoo. General knowledge of proper animal handling and restraint techniques. Under supervision and direction of the Mill Mountain Zoo staff, interns will learn skills and techniques necessary to provide care for the animals at the Mill Mountain Zoo. They will participate in the upkeep of exhibits/enclosures, as well as zoo grounds, and interact with the visiting public during operating hours. The following duties and responsibilities are typically associated with the internship program. However, an intern may be called upon to do additional tasks not listed. Guest Interactions: Formal and informal interactions with Zoo guests through animal encounters, chats, tours, etc. Keeper internships are physically demanding. Interns may be working in small spaces or in awkward positions that require bending or stretching. Interns must be able to safely lift 50lbs. Keepers work in extreme weather conditions so interns must be able to tolerate heat, cold, snow, wind and rain. They must also be able to tolerate exposure to strong odors and allergens produced from hay, dust, and animal hair/feathers/dander. Internships are generally 12 weeks long. Internship sessions are offered throughout the year, Summer (beginning June 1), Fall (beginning September 1), and Winter (beginning January 1). Consideration may be made for students attending classes. Interns must be flexible with their schedule and have the ability to work week days, weekends, and holidays. The part-time position requires a commitment of 24-25 hours a week. This can be accomplished in five 5 hour shifts per week or three 8 hours shifts per week. Applicant must be able to work any day of the week, including weekends. Work times are from 8 AM until 5 PM. This position requires a commitment of 40 hours a week. This can be accomplished by working five 8 hour days. Applicant must be able to work any day of the week, including weekends. Work times are from 8 AM until 5 PM. Interns must have proof of a current Tetanus and negative TB test prior to start date. All interns are required to complete a project of their choosing that will, in some way, benefit Mill Mountain Zoo. Interns must have a strong desire to learn and be able to accept constructive criticism. They must have a basic, positive interest in animals and have good interpersonal skills. This is an unpaid internship and interns are responsible for providing their own housing. If college credit is desired it is the responsibility of the intern to coordinate this with their academic institution. If you are interested in applying for an internship with the Mill Mountain Zoo Animal Department please submit an Internship application request to rlentz@mmzoo.org. Available during the summer, the Summer Camp Interns will assist the Camp Teacher with three to seven (depending on what their schedule allows) weeks of Zoo Camp at the Mill Mountain Zoo. In addition to this, there will be some prep work the week prior to camp, such as preparing and organizing supplies and creating project examples. The dates for Mill Mountain Zoo’s Summer Camp 2016 are to be determined, but typically run from late June through August. Internship hours are from 8:30-3:30pm, with actual camp hours from 9am-3pm, but interns will be expected to take turns with After Camp Care which runs from 3-5:30pm. The intern is expected to provide structure and positive reinforcement, as well as any assistance the children may require and assist the teacher with set-up and clean-up each day. In essence, the intern is expected to act as a figure of authority and be a support for both the Summer Camp Teacher and the students. Intern will work onsite for approximately 120-400 hours over a 3-5 week period (depending on number of weeks available). Intern will learn about and assist with science and zoological based project preparation and implementation. Intern will assist with animal related art project preparation and implementation. Intern will gain experience in designing a curriculum and theme for science and zoological based classes. Intern will work with children of various ages. Expanding on the above, intern will gain an understanding of different teaching techniques used when dealing with different ages of children. Education intern opportunities are available spring semester and over the summer. Education Interns will assist Mill Mountain Zoo’s Education Manager with a variety of programs, including and not limited to outreach, field trip presentations, birthday parties, events and Zoo Hosting. Education Interns will also be required to have a specific project that they must complete during the internship. Ideas for these projects include, but are not limited to creating a lesson for use on or offsite, creating programming for a specific audience, i.e. the Girl Scouts, creating post-visit packets for field trip groups and creating activity sheets for groups to use when visiting the zoo. Intern will work onsite for at least 110 hours and up to 250 hours. Intern will learn about education collection animals, including how to handle and present them to the public. Intern will enhance his/her public speaking and presentation skills. Intern will develop curriculum or programming that covers Virginia science SOL’s. Intern will gain experience working with people of all ages, especially children. Intern will assist in preparation for all program and activities. Mill Mountain Zoo offers these opportunities to college students in any major with a grade point average of at least 2.8 who have demonstrated knowledge of and an interest in education. Candidates should have an interest in program and lesson development, strong organizational skills, a comfort with public speaking in both formal and informal situations and the ability to handle small animals. Any applicable university or college credit must be arranged by the student through his/her institution. All housing and transportation must be arranged by intern. These internships are unpaid. Hours are scheduled based on Education Department’s needs and the intern’s availability.